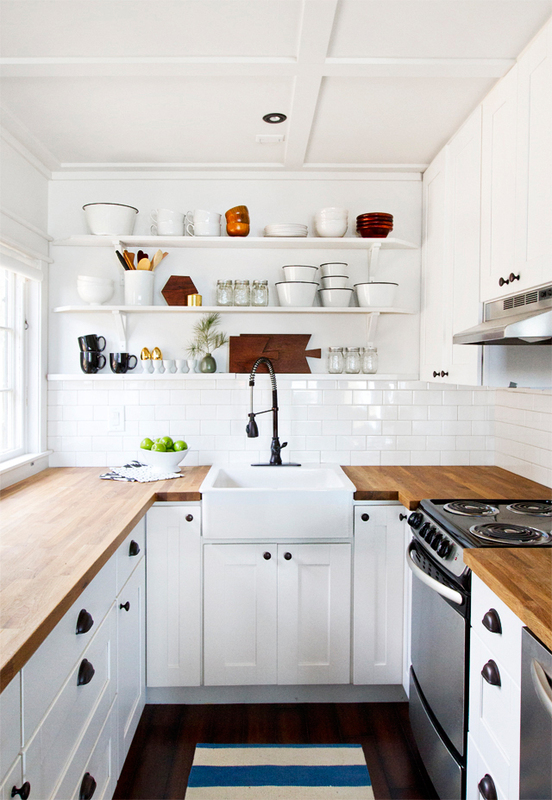 Wooden countertops...can we count on them? Hello everyone! 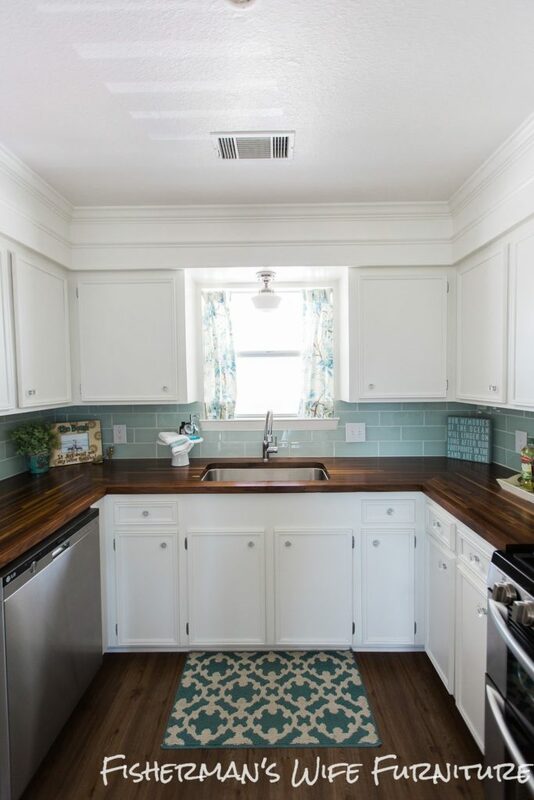 In today’s post we are going to step into the kitchen and discuss a bit about counter-tops. And deriving from the title, you already know that I will be focusing on wooden counter-tops. Can we rely on them in the kitchen or not? One thing you can rely on is this article to answer a few of the questions you might have about this subject. We are going to talk a bit about the beginnings of the wooden counter-top and the pros and cons of having one. At the end of this article I will also post a few locations from where you can buy wooden counter-tops. If this article has convinced you to buy or, at least, research more about them feel free to use these sources. You may want to ask at this point why have I chosen to talk about wooden counter-tops as opposed to any other kind. Well, as much as I love modern times and design, I am still a sucker for vintage and country style decor. This type of designs or decorations make a house more like a home and add a comfortable and relaxed feel to it. And this is what I would like my home to feel like. So I could say that my mind is already made up but let’s still go through it and make a fact based decision. 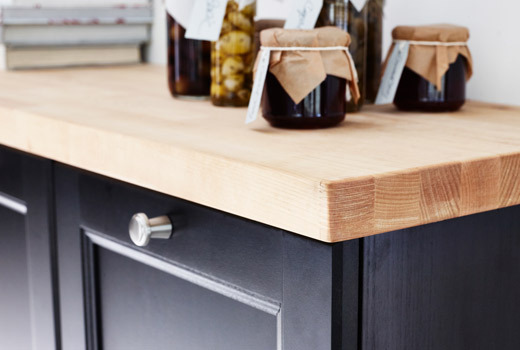 The entire idea of wooden counter-tops was actually inspired by the famous butcher blocks. As a definition, the butcher blocks are a style of assembled wood pieces glued together. The butchers realized that these created a more solid and durable surface to cut meat upon. And since their cleavers are not exactly gentle on these surfaces, the odds were in their favor. 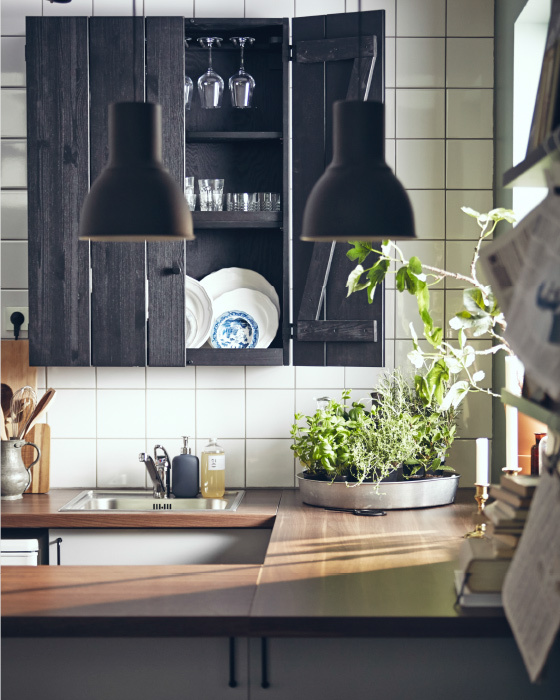 Since their discovery and to this day, the butcher blocks have been used all over the world. In some European countries they are still used and found in old fashioned butcher shops. 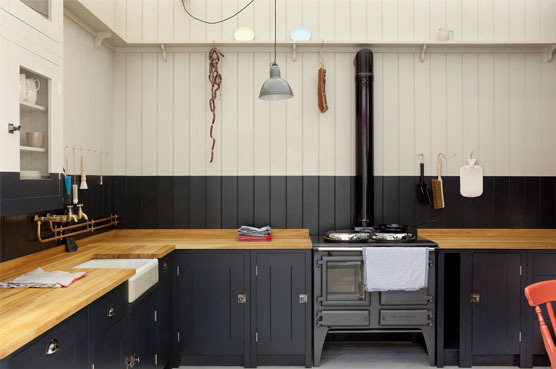 Today, the butcher blocks have made their way into the world of interior design. They have entered the homes and hearts of many and they are also the ones behind the wooden counter-tops. 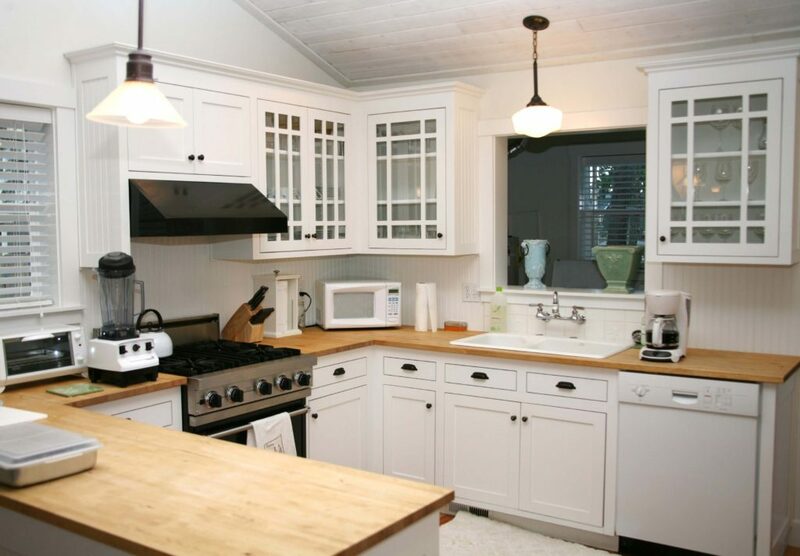 But don’t get fooled by this because the wooden counter-tops are not all as sturdy as a butcher block. 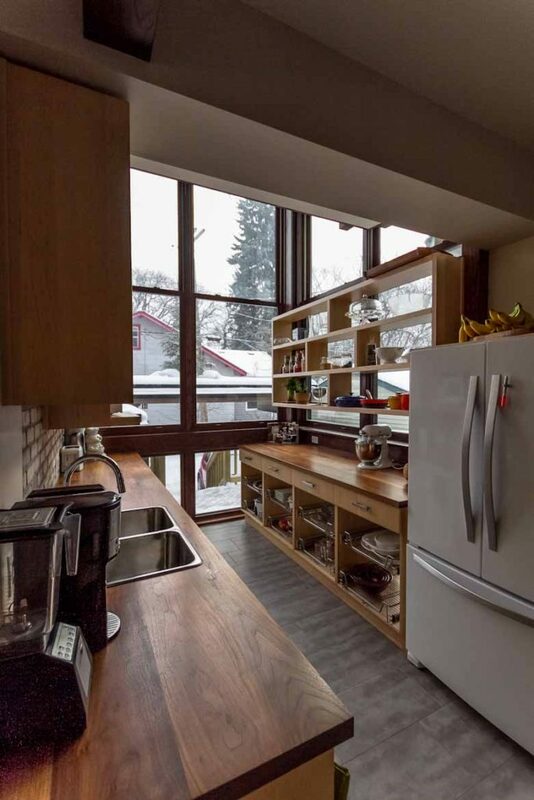 Let’s say that the counter tops are more of an aesthetic choice rather than a functional one. You wouldn’t start cutting onions, tomatoes or meat right on your counter top. Even if it does resemble and it could be used as a cutting board. 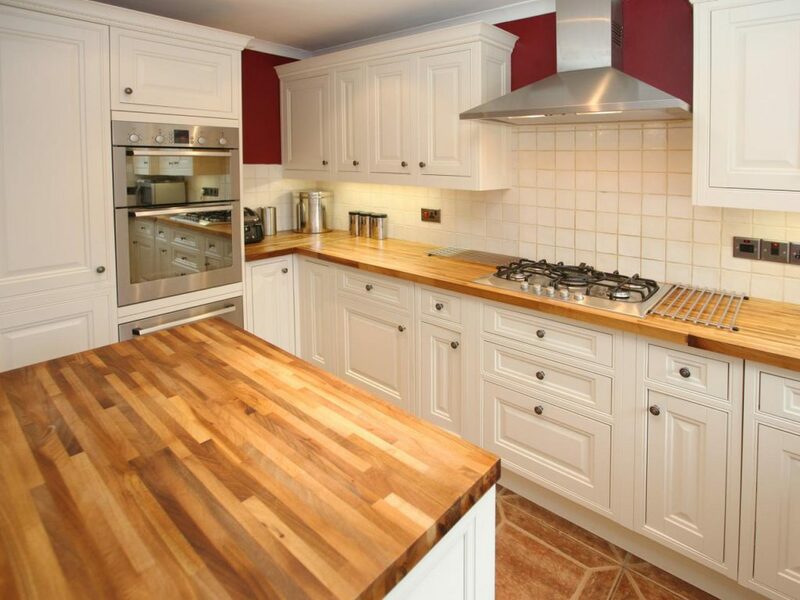 As I’ve mentioned before, wooden counter tops will look gorgeous in any kitchen. They will bring a comfortable and relaxed feel to the room, not to mention a certain warmth that fits in any home. Depending on your tastes, you can select from a wide variety of woods that will fit with any design. And this will also give you the freedom to make the room elegant, country style or even modern. As opposed to their stone, marble or manufactured versions, the wooden counter-tops are cheaper. Depending on your choice of wood, you can get your tops even at half the price of what you thought it would cost. This, of course, would also need a little bit of researching the market. Another winning factor that comes into play is the reduced complexity factor. This counter is so simple to install that you can even do it yourself. Using the many step by step instructions online you can learn how to make the counter fit your kitchen space. If you’re not willing to go that far, don’t worry, you can call in the specialists and it will be done in just a few hours. Kitchen counters are spaces just waiting for accidents to happen. So it is understandable that at some point your counters will be the victims of a smaller or bigger accident. Here comes the winning factor for a wood option. Whether it is a knife scratch, a slight indentation or even a burn mark, all these can be rectified. Just sand them out, apply a finishing coat to your wood and it will look good as new. This may seem like a bit ironic since we are cutting down trees to use in our kitchen, but hear me out. The Eco part is that after years of usage, the counter can actually be re-purposed. Since it is at the end of it all still a piece of wood, you can give it another purpose instead of throwing it out. 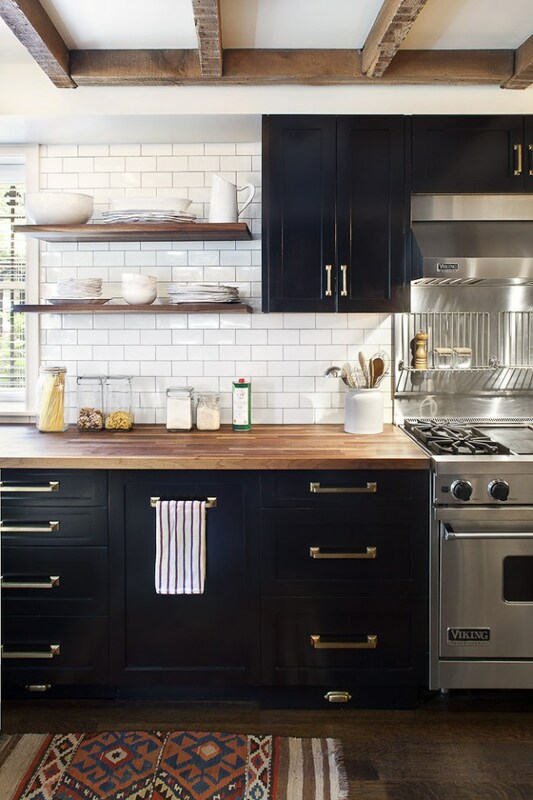 Even though these counter tops may look gorgeous, they are not fire proof. This can present a real danger in the kitchen is not well managed and looked after. So be extra careful! The wood makes this surface be much more sensitive to its surroundings. We refer here especially about liquid, which can cause long term damage to the wood if not wiped off in time. This means you have to be on the lookout and make sure to clear the surface while cooking or even doing the dishes. This one is a little stretched because it depends on the type of wood you choose and the finish and so on. 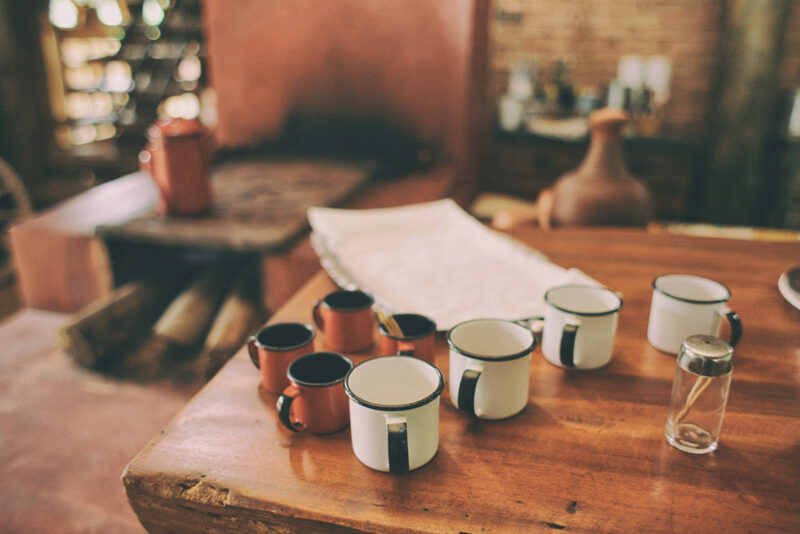 Some surfaces may need monthly oiling, some may need to refinishing every few years, etc. But if you don’t want to deal with this just make sure you do your research before making a decision. Asking a professional is always a good idea and will save you a lot of trouble afterwards. Now, the decision is up to you. If you’ve decided to give it a shot and buy one, here are a few suggestions of stores that can help you in this process. Just make sure you get all the details and do your research before making any decisions. Today’s featured image comes from Andre Freitas at Unsplash.